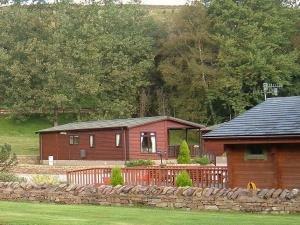 Augill Beck Park01539 823659work01539 823677fax Holiday ParkThe holiday lodges and caravans provide accommodation of an excellent standard being tastefully furnished, comfortable and well equipped. Set against a rolling backdrop of fells bordering both the spectacular Lake District and Yorkshire Dales National Parks, Augill Beck Park is the ideal location for the perfect holiday. With two or three bedroom accommodation available, open-plan living, dining and modern kitchens. Attractive lounges with modern suites and electric or gas feature fires for that cosy feel. Double bedrooms with en suite facilities and spacious twin rooms. All accommodation is central heated and double glazed for added comfort. Normal arrival time is 16.00 and departure by 10.00.